When a tooth or teeth are missing, it can affect the person’s confidence and ability to talk or eat. Having Dr. Colleen Tracy and Dr. Ronald Tracy provide a solution to the missing teeth can help a person have more normal functioning of the mouth and an improved state of health and well-being. Schedule an appointment with Dr. Colleen Tracy and Dr. Ronald Tracy to find out the best solution to your missing teeth. Generally, dentists would recommend having either dentures or implants put in to fill the gaps of the missing teeth and restore function to the mouth. Which choice is right for your situation? If some natural teeth can remain in the mouth, Dr. Colleen Tracy and Dr. Ronald Tracy can use partial dentures. When all of the teeth are missing or the dentist removes the last ones, a full removable denture could be used. In the end, the final decision of getting dentures or implants should happen in a discussion with your dentist. 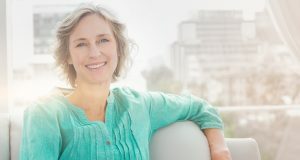 When you schedule an appointment, Dr. Colleen Tracy and Dr. Ronald Tracy at All Family Dental Care in Everett will provide a consultation of your situation and help you understand the pros and cons of implants compared to dentures for your situation. Contact us today so we can help you make this important decision to fit your needs and provide the best outcome.